Welcome to the oil pet portrait of Duffy. 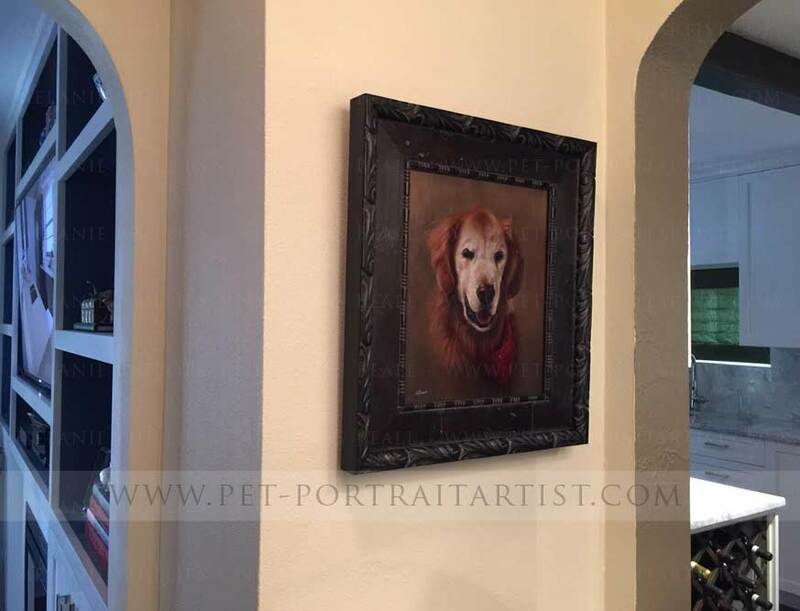 Sadly, Golden Retriever, Duffy passed away in 2015 and client Beth Boettcher emailed the following day to order a 14 x 10 oil painting of him for their family's home. Beth sent us a variety of photos of Duffy that captured his personality and character and we chose one that we could create a lovely head study from including his red scarf and added a studio style background behind. Beth and her family were thrilled with the outcome and you can see a testimonial form beth below, along with photos of the painting of Duffy displayed in their home. 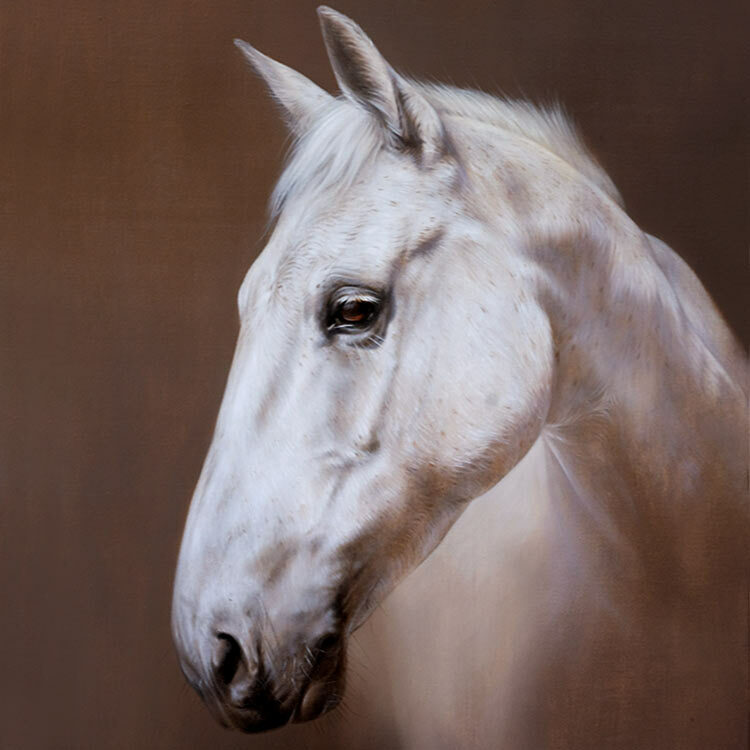 We hope you enjoy viewing this page, don't hesitate to email us at any time if you would like us to paint a portrait of your dog. We love our picture of Duffy... It looks so much like him, I cried when I put it up. Duffy is now right back in the middle of our house, so you can see him every time we pass through to our family room, master bedroom, kitchen, and dining room. It is the perfect place as this is where Duffy always stayed when taking down time... Allowing him to keep an eye on all of us as we went on our way. 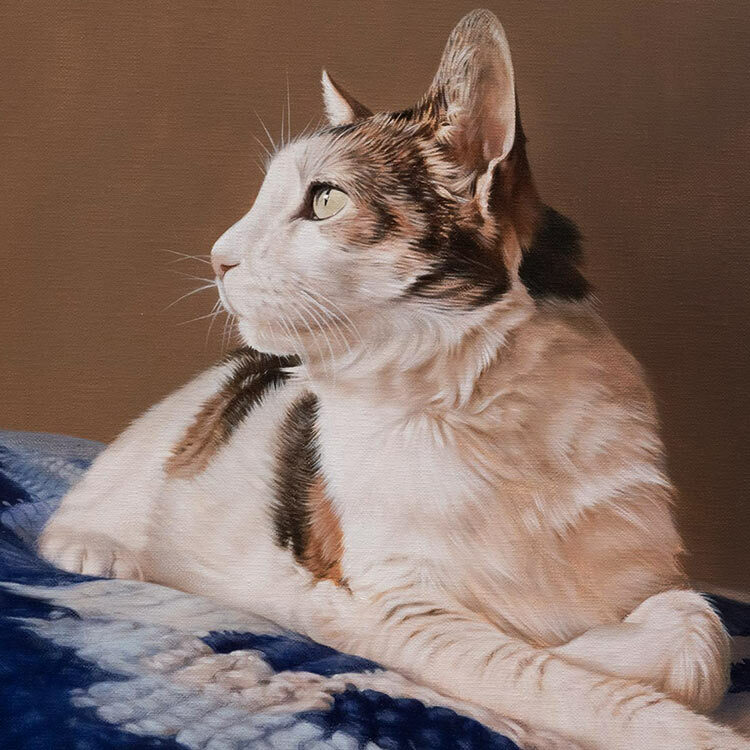 Pet Portrait Artist Monthly Update!